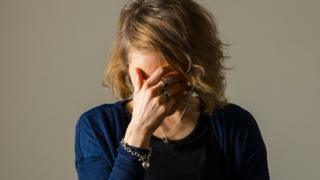 The US drugs regulator has approved the sale of a new nasal spray to treat depression. Manufacturer Janssen says Esketamine can lift a patient's mood within 24 hours of use. The drug is intended for patients who have not responded to two other, conventional antidepressants which can take weeks to have an effect. But critics argue that the spray - sold as Spravato - may have been approved without adequate testing. The spray was first approved by the Food and Drug Administration (FDA)'s advisory panel in February, and can cost up to $885 (£673) per treatment. In a statement, Janssen said it offers "a potential therapy for adults living with treatment-resistant depression," including help with tackling suicidal thoughts. Traditional antidepressants like Prozac try to ease depression by making more serotonin available in the brain to pass messages between nerve cells. Serotonin is thought to have a good influence on mood, emotion and sleep. In contrast, esketamine targets glutamate, a chemical linked with learning and memory, and generally considered the most essential for normal brain function. The spray is absorbed through the nose into the blood stream and must be taken along with another, oral, anti-depressant. "I have no doubt in my mind that this is a very useful treatment," Gerard Sanacora, a psychiatrist and the director of the Yale Depression Research Program, told health news publication Stat. "[But this] has to be balanced with, how do we use this rationally, and in what step in care do we use this medicine." The drug will come with a "boxed warning" that it may cause suicidal thoughts and dissociation, a sense of detachment from one's memory and sense of identity. As a result, patients must be monitored for at least two hours every time they take Spravato. Some panel members have publicly raised concerns about these side-effects and a shortage of long-term data on its health effects. "The threshold has been two adequate and well-controlled trials. In this case, they only got one," Dr Erick Turner, a former FDA reviewer and professor at Oregon Health and Science University, told Stat. Others have raised concerns about the risk of abuse, due to the drug's links with ketamine. Ketamine is used in medicine to numb the body or induce sleep, and sometimes prescribed for depression. But the drug also has a reputation for recreational misuse. About 300 million people suffer from depression worldwide, according to the World Health Organization. The UN body said depression-related suicide was the second-leading cause of death among people aged 15-29 around the world.